Tesla CEO Elon Musk is gearing up to lead a buyout of the electric car maker in a stunning move that would end the maverick company’s eight-year history trading on the stock market. 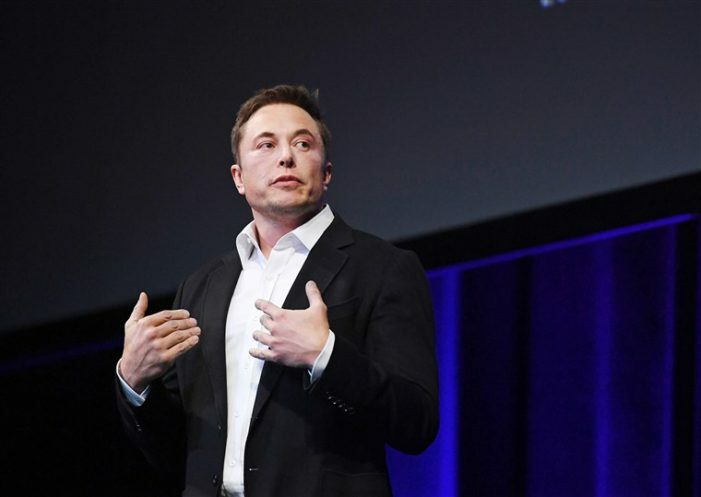 Musk got the ball rolling Tuesday after the stock market had already been open more than three hours with a tweet announcing he had secured funding to buy all of Tesla’s stock at $420 per share with no further details. “Am considering taking Tesla private at $420. Funding secured,” Musk wrote in his first tweet, following up with “good morning” and a smiley emoji. He later tweeted that the only uncertainty about completing the deal is whether he can gain shareholder approval. The first tweet came hours after the Financial Times reported that Saudi Arabia’s sovereign wealth fund had built a significant stake in Tesla Inc., but it was unclear if that was the funding Musk was referring to. The Financial Times, citing unnamed people with direct knowledge of the matter said Saudi Arabia’s Public Investment Fund had built a stake of between 3 and 5 percent of Telsa’s shares. Musk’s announcement was initially met with widespread skepticism, with many people connecting the proposed price to 420 being a common slang term for marijuana. The confusion caused by Musk’s Tuesday announcement via Twitter also prompted regulators of the Nasdaq stock market to temporarily suspend trading in Tesla’s stock. Although it’s unusual for a CEO to make such a major announcement over social media, it does not appear to be improper. “It’s very unusual for any CEO other than Elon Musk. This is not how you do it and it makes you wonder how seriously to take it,” said Erik Gordon, a business and law professor at the University of Michigan. Musk probably wasn’t violating any regulations by simply announcing that he was considering taking the company private, Gordon said, but his assertion that the funding already has been locked up could “expose him to at least potential legal risk” if it turns out that the financing is on shaky footing. Musk later brought some clarity to the situation in an email to Tesla employees that was also posted on Tesla’s blog. Trading in Tesla’s stock resumed shortly after the letter’s release, and the stock climbed 11 percent to close at $379.57. Musk’s offer is 9 percent higher than Tesla’s peak closing price of $385 reached nearly a year ago. Musk “has been running Tesla like a private company with publicly traded stock anyway so this deal makes some sense,” Gartner analyst Mike Ramsey said. “Being public means that there are large numbers of people who have the incentive to attack the company,” he wrote.